Located in Granby, Colorado and perfectly situated within 20 minutes of the ski and resort amenities of Winter Park, the water sports of Lake Granby or the shopping, dining, cultural and art experiences of historic Grand Lake. Grand Elk Golf Club is also just a short distance from the west entrance of Rocky Mountain National Park plus nearby is world class fishing on the headwaters of the Fraser & Colorado Rivers...and you're always within view of the majestic peaks of the Continental Divide. Only 90 minutes from metropolitan Denver but miles from the ordinary. 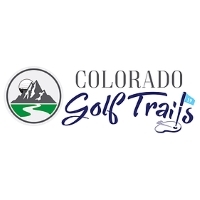 You will love this Grand County golf course and all the amenities that the area has to offer. Please call 866-227-4268 for current rates. Call 866-227-4268 for rates and tee times. Contact Grand Elk Golf Club at 866-227-4268 for more information and details on holding a golf outing at the course. Contact Grand Elk Golf Club at 866-227-4268. Contact Grand Elk Golf Club at 866-227-4268 for onsite or nearby dining options. This profile was last updated on 02/08/2018 and has been viewed 3,323 times.